LAS VEGAS, Dec. 3, 2018 /PRNewswire/ -- One of the most renowned female artists in the world recently debuted her first exhibit in Las Vegas at Bellagio Gallery of Fine Art. 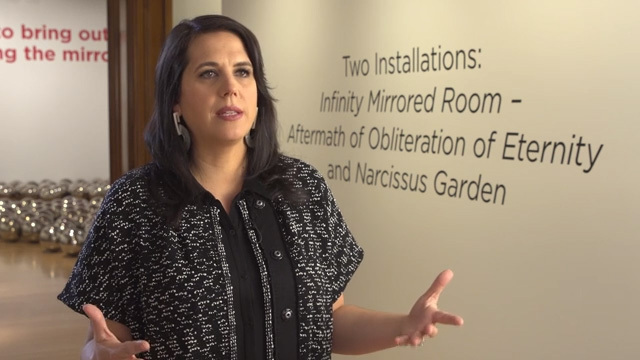 An immersive experience, Yayoi Kusama, named after the iconic artist, features two installations, Infinity Mirrored Room: Aftermath of Obliteration of Eternity and Narcissus Garden. 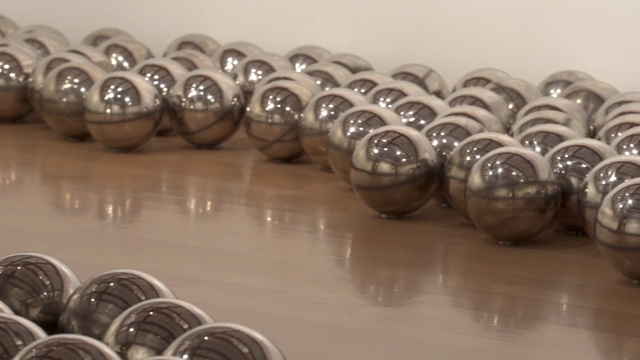 Both artworks showcase Kusama's exploration of infinite space. "Bellagio Gallery of Fine Art is known for presenting exhibits by some of the world's most compelling artists, and Yayoi Kusama's works created the ideal opportunity for us to continue that commitment," said Tarissa Tiberti, Executive Director of MGM Resorts Art and Culture. "The reaction to this exhibit has been incredible since we opened the doors November 17 with several sellout dates already, and we are excited to continue sharing this special experience with visitors from around the world throughout the next five months." 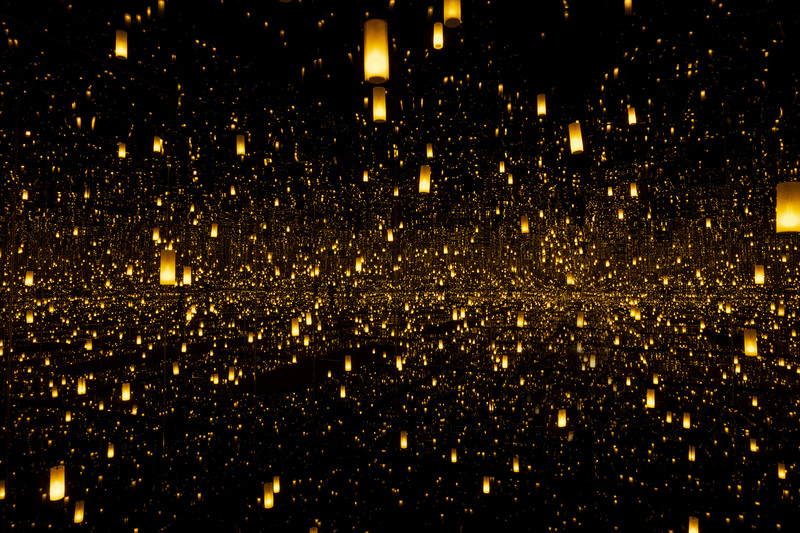 Infinity Mirrored Room: Aftermath of Obliteration of Eternity comprises a mirror-lined interior illuminated by flickering golden lanterns, which create shimmering patterns of light before falling into darkness. Viewers are invited to step into the room and stand on a central platform, where they find themselves enveloped by an apparently infinite horizon – in which lights and reflection become one. In her art philosophy, Kusama defines each human being as a unique polka dot among many. The mirror, meanwhile, offers a sense of infinite existence, an expanding world reaching out to the edges of the universe, one in which the viewer is able to locate and perhaps lose themselves and the world around them in myriad convex reflections. Kusama has described this experience of encountering a dizzying and exhilarating suspension of the self as 'self-obliteration.' An especially poignant example of Kusama's iconic immersive environments, Infinity Mirrored Room: Aftermath of Obliteration of Eternity, with its cycle of lightness to darkness, invites us to consider cycles of life and the passage of time. Yayoi Kusama's seminal installation Narcissus Garden includes mirrored spheres displayed en masse to create a dynamic reflective field. 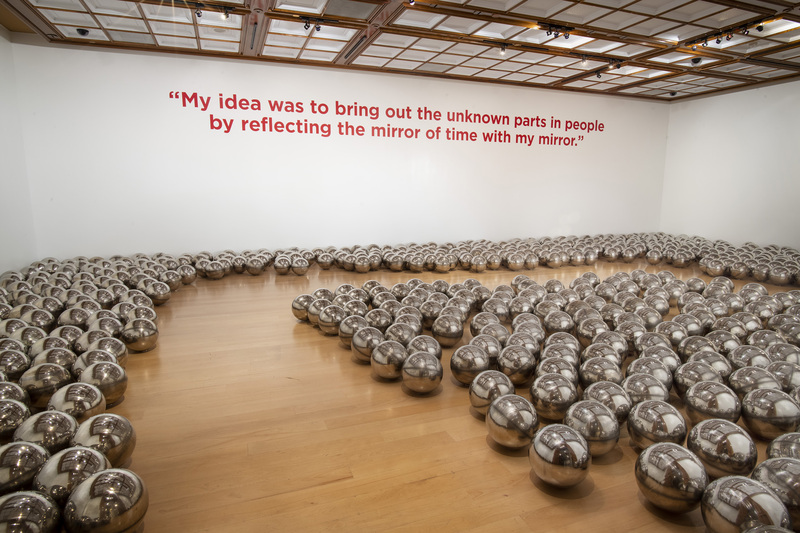 It is one of the first works by the artist to explore the optical and psychological potential of the mirrored surface as a means of transcending the limits of the physical world, and it creates a participatory experience in which the viewer is cast as the subject of the work. Narcissus Garden originated in 1966, when the artist first participated, albeit unofficially, in the Venice Biennale. In Venice, Kusama installed the spheres on a lawn in front of the Italian Pavilion. Signs placed among them were inscribed with the word 'Narcissus Garden, Kusama' and 'Your Narcissism for Sale.' During the vernissage, Kusama, dressed in a kimono, remained with the installation, offering individual spheres for sale (at $2, or 1,200 lira a piece). This succès de scandale was both revolutionary – a comment on the promotion of the artist through the media and a critique of the mechanization and commodification of the art market – and deeply connected to history, evoking the Greek myth of Narcissus, who fell in love with his own reflection. Regarded as pivotal in Kusama's career, Narcissus Garden anticipates many of the radical performances that would become a focus of her time in New York during the late 1960s, while encapsulating key aspects of Kusama's wider practice – allusions to microscopic and macroscopic worlds, a preoccupation with the infinite and sublime – that remain compelling in her art to this day. Kusama is known internationally for her installations, sculptures and paintings. Recent achievements include being selected as one of Time magazine's World's Most Influential People, opening her own museum in Tokyo and she is currently the subject of a feature length documentary film about her life, "Kusama - Infinity." 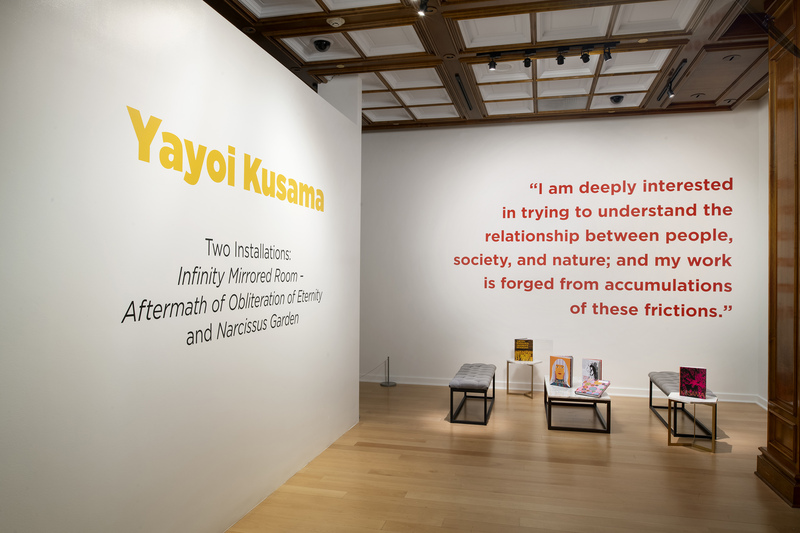 Now open, Yayoi Kusama is on view through Sunday, April 28, 2019. Because of the nature of the exhibit and limited space within, guests are encouraged to purchase tickets in advance at Bellagio.com/bgfa or at the gallery's ticket office. Located at the heart of the elegant Bellagio Resort & Casino, Bellagio Gallery of Fine Art is Las Vegas' premier exhibition space – where great art goes on vacation. Since opening in 1998, the gallery has presented exhibitions of artworks and objects drawn from internationally acclaimed museums and private collections, including Primal Water: An Exhibition of Contemporary Japanese Art; Samurai: Armor from the Ann and Gabriel Barbier-Mueller Collection; I Am The Greatest: Muhammad Ali; Town and Country: From Degas to Picasso; Yousuf Karsh: Icons of the 20th Century; Picasso: Creatures and Creativity; Fabergé Revealed; and Warhol Out West. MGM Resorts Art & Culture focuses on commissioning, collecting, supporting and presenting contemporary art in and around MGM Resorts' destinations globally. Currently the MGM Resorts Art Collection includes more than 800 pieces by over 200 artists. MGM Resorts Art & Culture was established in 2016 to encompass all of MGM Resorts' collections and varied art-related initiatives and partnerships to develop a comprehensive, multifaceted arts program. Reflecting the company's core values of inclusivity and diversity, MGM Resorts Art & Culture aims to create special, accessible experiences for all audiences. Each project thoughtfully considers the artist, the environment, and the overall experience, recognizing the power of art to evoke emotion, engage the senses, and spark conversation. Art is prevalent throughout MGM Resorts distinctive world-class brands including Bellagio, ARIA, Vdara, MGM Grand and Delano Las Vegas; as well as MGM National Harbor outside of D.C., MGM Springfield in Massachusetts, and internationally at MGM Macau and MGM Cotai.